Thalapathy Vijay and AR Murugadoss' Sarkar has grossed Rs 13.83 crore at the Chennai box office by the end of its second weekend. 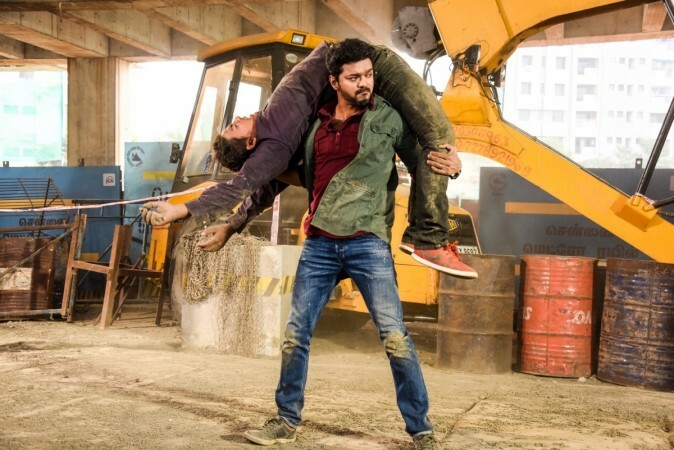 Vijay's Sarkar has ruled the Chennai box office for the second consecutive weekend in spite of a few new releases in Kollywood and from other film industries. It is now the third biggest hit in the capital city of Tamil Nadu after SS Rajamouli's Baahubali 2 and Rajinikanth's Kabali. In its second weekend, Sarkar had 321 shows from which it has earned Rs 1.32 crore. The 14-day total collection of the movie now stands at Rs 13.83 crore in Chennai. With no competition for one more week in Kollywood, the Thalapathy-starrer is expected to do well at the collection centres. Jyothika's new movie Kaatrin Mozhi is in the second place by earning Rs 65.27 lakh from 177 shows. With a good word-of-mouth, the movie is likely to generate good revenue for the next one week till Rajinikanth's mega-budget venture 2.0 hits the screens on 29 November. Vijay Antony's Thimiru Pudichavan is in the third place in Chennai. It has collected Rs 47.29 lakh from 159 shows, but the film has met with mixed reviews. Hollywood movie Fantastic Beasts: The Crimes of Grindelwald is in the next position in Chennai by collecting Rs 49.69 lakh, which is a good number for an English film in the capital city of Tamil Nadu. Telugu flicks like Taxiwala and Amar Akbar Anthony have collected Rs 25.30 lakh from 60 shows and Rs 11.42 lakh from 48 shows, respectively. Bohemian Rhapsody has earned Rs 10.51 lakh from 39 shows, Utharavu Maharaj follows next by raking in Rs 2.48 lakh, while the business of Aamir Khan's Thugs of Hindostan has completed dropped as it earned less than Rs 1 lakh. However, it has made Rs 1.30 crore in Chennai. TRP Report: No stopping Kapil Sharma, his show jumps up again!